The summer months are here! That means evening outdoor parties, and hopefully some leisurely slow weekends, perhaps with a glass of chilled Chardonnay, or a beautiful glass of Merlot. But when it comes to wine, do you know what is in your glass, exactly? 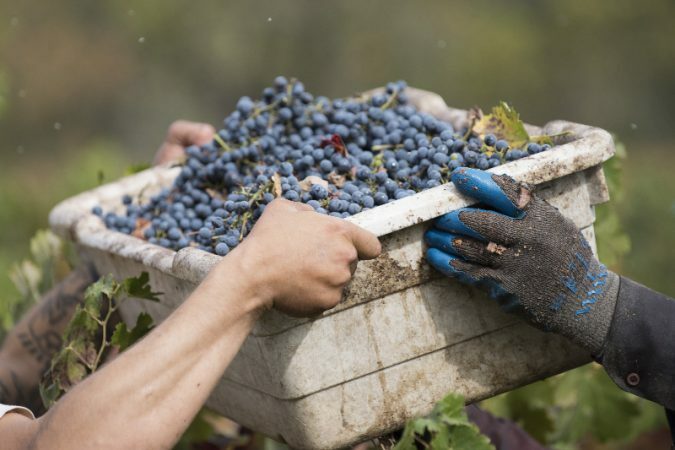 What is the real scoop on conventional vs. organic wine? We are expanding the notion of “Know your farmer” or “Know where your food comes from” to “Know how your food is being made” in this episode. So, what does it take to make a bottle of organic wine, and what goes into non-organic wine? Most of us who are following an organic diet as much as possible know the differences between organic and non-organic produce, including the use of pesticides and synthetic fertilizers in so-called conventional production systems. We are also aware of the many other issues that organic production addresses when it comes to fruits and vegetables. But what does this mean for wine? Today we are walking through every step of both wine production processes.